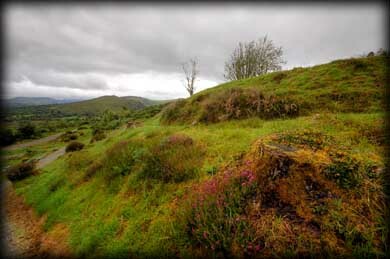 Located in the Bonane Valley in Dromagorteen townland is the Bonane Heritage Park. There are a number of archaeological sites situated along the gravel trails. 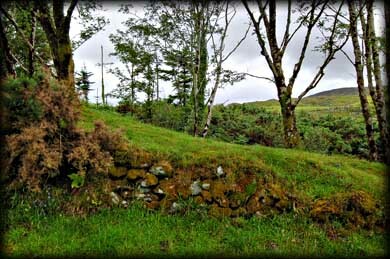 The first site you encounter on the trail is this fine ring fort. 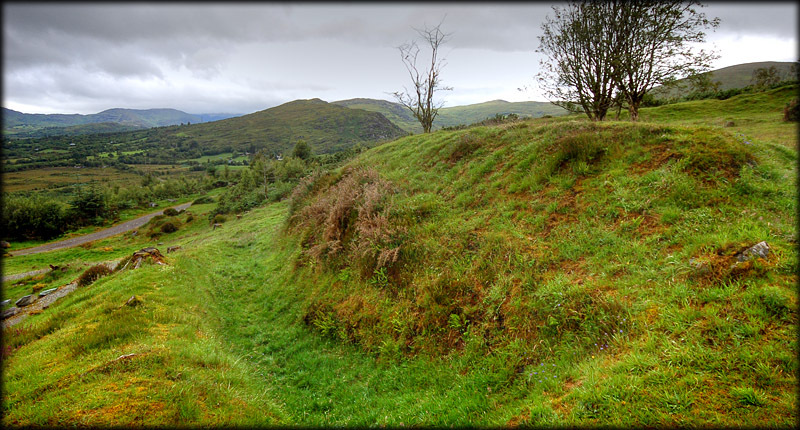 The fort consists of an outer earthen bank about 1/2 metres high with a deep fosse between the outer and inner banks. It is approximately 30 metres in diameter with the inner bank a further 2 metres higher than the outer one. On the inside of this defended farmstead there are slight traces of dry-stone walling. The views from here along the Bonane valley are a real joy, even on the dismal day we had for our visit. Next stop, the stone circle. 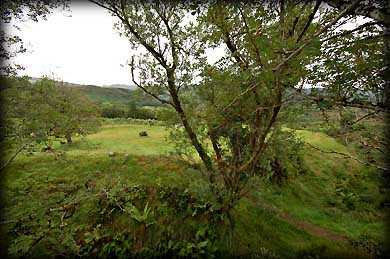 Situated: The Bonane Heritage Park is situated about 10 kilometres south east of Kenmare. There is a 4 euro entrace fee to the park. Discovery Map 85: V 9568 6544. Last visit July 2011.